Spanish police arrested 10 people accused of glorifying terrorism and inciting attacks by the Basque group ETA in Twitter and Facebook messages, authorities said Thursday. The suspects are accused of "using social networks to commit suspected crimes of glorifying terrorism by ETA and of humiliating the victims of terrorism", the interior ministry said in a statement. Police detained them in various regions of central and northern Spain, seizing their mobile phones to check them for messages, it said. Two of those detained are minors while the others are aged between 19 and 62. They posted messages "calling for ETA to resume its attacks, praising attacks already carried out and glorifying convicted ETA terrorists", with some urging attacks on particular individuals, the ministry said. ETA in 2011 declared an end to its armed activity after four decades of bombings and shootings that left 829 people dead in a campaign for an independent Basque homeland. 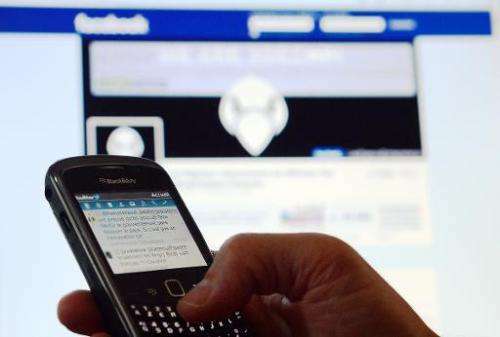 Police arrested 20 suspects in similar raids in April after vowing to crack down on incitement to violence online.